To others it is “just a painting” hanging on my fridge. Just another piece of art by yet another child. To me it is a miracle. A victory. A reason to believe. As a teacher, I have had no shortage of “kid art” on my fridge. 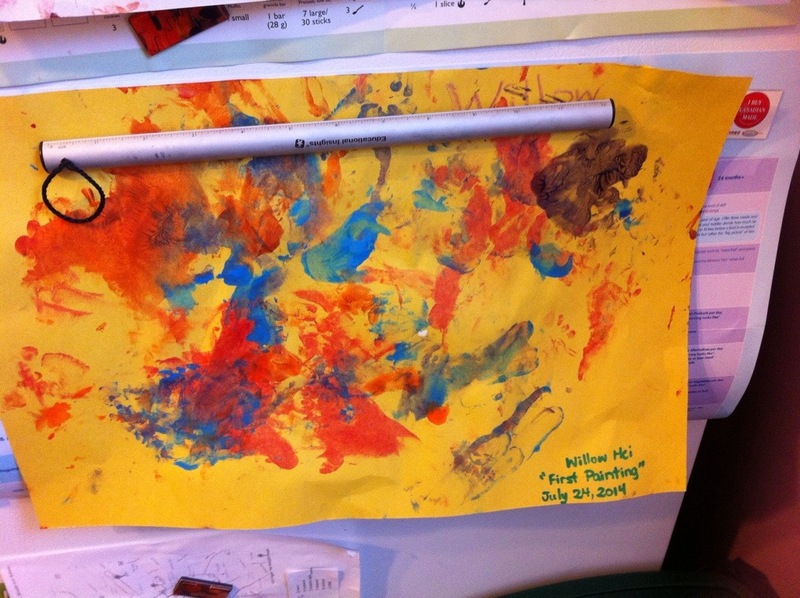 For several years while my husband and I struggled to have our own child, I proudly displayed the paintings, drawings, yarn, macaroni and tinfoil masterpieces lovingly presented to me by my students and by friends’ children. I was given so many that I had to cycle through them so that each child would get to be featured in my kitchen gallery, as promised. I always followed through on my word. I overfilled my fridge with the photos and artwork of other peoples’ children because it helped to hide the baby-shaped hole in my heart. I told myself that I was happy and blessed to have the opportunity to have so many amazing children in my life. And I was blessed. And grateful for the blessing. But I wasn’t truly happy. I remember wondering what it would be like to have a child of our own creating art. Would I eventually be like the first grade parents, sighing when my little gaffer came home with yet another plasticine spaceship or fingerpainted rainbow? Would I take time to create art with my child or be too busy with “more important things” to ever get around to it? Would I be able to get over my desire for cleanliness and structure to allow my child to really enjoy the creative process? More importantly–would I ever have the chance to see art created by our own child? Or would our fridge gallery always have a void, a piece missing from the collection? The first time I proudly hung an ultrasound photo of Willow on the fridge I wept with joy to see our own child featured in “the gallery”. A few months later I was able to hang a photo of our baby girl, and I wept again. Last night I hung her first painting and… you guessed it… I wept. 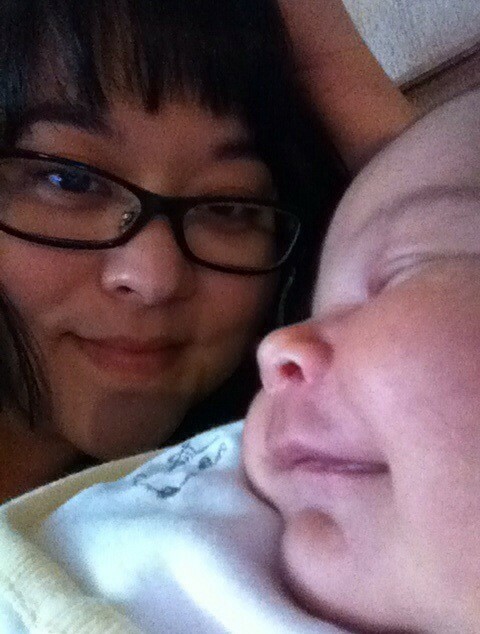 Body shaking, soul cleansing, full out sobs of gratitude for our miracle. The missing piece is finally up. The gallery is complete.